How can I test if the chlorine cartridge in my purifier is exhausted? Water purifiers are frequently sold as "able to dechlorinate X number of gallons". The first thing to note is that these are sometimes US gallons so you only get about 0.8 of that figure in UK gallons. The next thing to note is that the number of gallons it will dechlorinate during its life depends on the chlorine content of the water. Manufacturers assume a typical tap-water chlorine value and calculate the life of their cartridges or activated carbon from that. Frequently, water supply authorities add extra chlorine to sterilise the pipes. Chlorine purifiers will remove the extra chlorine but since they can only remove so much chlorine before they are “used up” it shortens their life in doing so. (The process is shown below for those who might be interested in the chemistry). Also, your supply may contain a higher level of chlorine than the manufacturer assumed. If, (for easy numbers), it was double, the cartridge would only last half as long before it needed replacing, and its life would be further shortened by chlorine spikes. Testing whether the chlorine cartridge or the activated carbon in a purifier is still working isn't hard to do. For koi, the chlorine or chloramine level should ideally be zero but certainly should not exceed 0.02 mg/L. Manual chlorine test kits for swimming pools are cheap but they will not read down to such a low level. Cheap chlorine meters sold on ebay for less than twenty pounds are not reliable at very low levels. But when you top up your pond, you don't need to know the actual chlorine level in the water coming out of the purifier, you just need to be sure that there isn't any, and this is cheap, easy, and very quick to do. Obtain some DPD 4 tablets on line or from your local swimming pool supplier. They should only cost around £10 to £15 a hundred [2014 prices]. Fill a standard 10 ml sample tube with water from your purifier or pond and drop in a DPD 4 tablet. Don't look through the side in the usual fashion, place it on a white surface and look down through it. 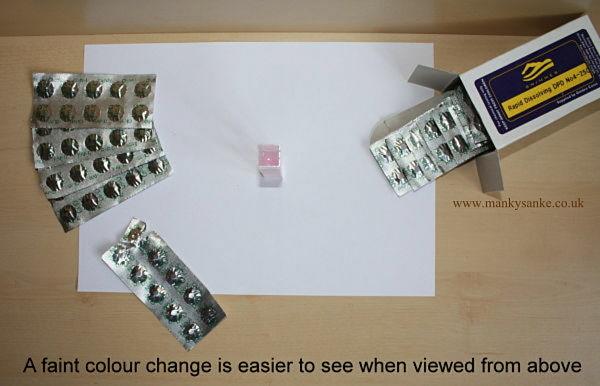 This will make it easier to see a faint colour change. If there is no chlorine or chloramine in the sample it will stay clear. The tablets begin to show a noticeable pink colour change in the range 0.01 to 0.02 mg/L so, although this is too indistinct to be able to say what the actual level is, it is valid to say "no colour means a total chlorine level of less than 0.02 mg/L". If you can see the faintest pink colour in the sample, it means there is a trace of chlorine in it and there shouldn't be. Strictly, a DPD 4 tablet doesn’t just test for chlorine, it is also looking for any other oxidising reaction, so, although it provides an instant colour change when any form of chlorine is present, it will then very slowly produce a pink colour change due to dissolved oxygen. This is especially noticeable if the sample is left exposed to the air so that more and more oxygen can enter the solution. Look for the colour change immediately because even if there is no immediate pink colour, showing that there is no chlorine in the sample, after several minutes dissolved oxygen will begin to turn it pink anyway. There are two types of DPD 4 tablets. The cheapest ones are called "Rapid Dissolving" and they do exactly that but the ingredient in the tablets that causes them to disintegrate and dissolve rapidly results in them tinting the water white. They still turn the sample anywhere from pale pink if there is a trace of chlorine or chloramine present to deep pink if there is a lot of it present but a few people have said that they find the white background colour confusing. There are also "Photometer Grade" DPD 4 tablets which are a little more expensive. These are difficult to dissolve (which is why the rapid dissolving ones were produced) but they leave the sample totally clear unless there is any form of chlorine present. Don't shake the sample tube vigorously in an attempt to dissolve these types of tablets, that will dissolve oxygen into the sample and may cause a false positive reading. The tablets should be crushed in the bottom of the sample tube with a specially made tablet crusher or with something that resembles the blunt end of a plastic knitting needle. After that, a couple of inversions of the tube will be all that is necessary to ensure good mixing. The picture on the right shows a plastic tablet crusher. For clarity the sample tube is empty in the picture but, in practise, the tablet should be crushed under water in the sample until all fragments of the tablet are dissolved. Both types of tablets react identically to chlorine/chloramine and the only difference is that the rapid dissolving filler in the rapid dissolving types adds the white colour as well as any pink colour change due to chlorine. I use both grades according to whether I need the accuracy of a photometer or a quick estimate of chlorine by eye and find no problem seeing pink in the sample, either in a clear sample or one with the white tint as well as any pink. Try the cheaper rapid dissolving ones and, if you don't like the white tint, get the photometer grade tablets instead. Adding either of these to water will produce hypochlorous acid (HOCl) which will then dissociate to some degree into hypochlorite ions (OCl-) and hydrogen ions (H+) where the ratio between the hypochlorite ions and the hydrogen ions depends mainly on the pH and to a smaller extent on the water temperature. Activated carbon removes organic compounds by a process called adsorption. (Adsorption isn’t the same as absorption, adsorption is where these compounds chemically “stick” to the surface of the carbon rather than being fully absorbed into its chemical structure). C*O represents the oxidised state of activated carbon after reacting with chlorine. My pH is 4.7, ammonia 4 mg/L, nitrite 0.05 mg/L (the pond is 16oC) what has happened? A pH crash is the likely cause. The bugs in the biofilter use about seven times as much carbonate from the pond water as they do ammonia when they turn ammonia, first into nitrite, then into nitrate, and they cannot remove ammonia from pond water without carbonate. Once they have used all the carbonate (KH), two things happen simultaneously. One; the pH will drop like a stone, and two; because there is no more carbonate, the bugs cannot remove any more ammonia so the ammonia level will rise dramatically. The low nitrite reading confirms this because, if the ammonia bug (nitrosomonas) has no carbonate available, it cannot turn the ammonia into nitrite. Therefore the ammonia level rises and the nitrite level stays low. It is unlikely that koi will want food under these conditions, but feeding should be stopped until the problem is solved. It will only make matters worse. The pH is the first priority. At pH 4.7 the koi would be suffering from acidosis, (extreme acidity of the blood caused by the low pond pH), and the low pond pH would also be causing severe gill, and internal organ damage. If the pH was slightly lower, they would be beyond the survivable limit. Firstly, the normal recommended pH range for koi is 7.0 to 8.5. Experienced koi keepers can successfully run koi ponds just outside this range, but that is another story, pH 7.0 is at the bottom of the recommended range as far as the average koi keeper is concerned. Koi will acclimatise to any pH in the range 7.0 to 8.5 but they do not like rapid variations, so after having experienced a crash from their normal pH all the way down to 4.7 and then having it raised quickly back to 7.0 again, they will be safe from the effects of unacceptable pH but they will be stressed and will need a few days, at least, to adjust. Secondly, the toxicity of ammonia is directly dependent on pH. An ammonia level of 4 mg/L may seem to be dangerously high but, at a pH of 4.7, the ammonia level could literally be several hundred mg/L and it would not actually cause them any harm. (The low pH would harm them, of course, but not the ammonia). The safe level of total ammonia rapidly reduces as the pH rises, especially as it rises above 7.0. At the current water temperature of 16oC, if the pH was raised to 7.0, the safe level for total ammonia would be 6.9 mg/L, so the current level of 4 mg/L is less than two thirds of the safe limit. But, if the pH was raised to, say 7.5, the safe level of total ammonia reduces to 2.17 mg/L. If the ammonia level was not reduced beforehand and remained at 4 mg/L when the pH was 7.5, it would be almost twice the safe level and would start to affect the fish. So, to recap, in the case of a pH crash and a high ammonia level at the same time, the pH is the priority. There are different ways to deal with the crash. Since the most likely cause of a sudden pH drop is that the carbonate hardness was exhausted and dropped to near zero, one way to introduce more carbonates is to do several partial water changes. Since carbonates are commonly in tap-water, this would have the advantage of adding carbonate and diluting out some of the ammonia at the same time, but the level of carbonate in tap-water varies so it becomes a hit and miss method. A more certain way to increase the KH, (and therefore pH), is by directly adding sodium bicarbonate. This is readily available and is sold as baking powder or bicarbonate of soda in grocery stores and supermarkets. (Buy the cheap “own brand” product that doesn’t also contain E numbers). Sodium bicarbonate contains about 70% carbonate and so is a very effective way to raise KH by small but predictable amounts. The normal dose rate is 30 grams per 1,000 litres per day but, in the emergency case of a pH crash, 100 grams per 1,000 litres per day can be used until the pH reaches 7.0. After giving the fish a rest and checking that the ammonia has dropped back to near zero levels again, the pH can then be raised by adding more sodium bicarbonate at the normal rate of 30 grams per 1,000 litres per day. Note: Although I have suggested ignoring an ammonia level of 4.0 mg/L because it is lower than the safe limit at those particular levels of pH and temperature, this was only in order to tackle the pH as the primary danger. The safe levels on the ammonia table are not targets; they are only safe limits before harm starts to be caused. The only level of ammonia that should be allowed in a koi pond is as near zero as is possible, and immediately the pH has been brought under control, the ammonia level is the next priority. The ammonia table showing safe levels of total ammonia at varying levels of pH and different temperatures can be seen in the ammonia article on this site (click here). Are plastic herons a good deterrent against real herons? There is a theory that because herons are territorial, especially when fishing, a realistic plastic heron placed by the pond will be a good deterrent against an attack by a real heron. It is said that, although the plastic heron doesn’t move, this will not matter because, when herons are fishing, they stand absolutely still so any heron that flies over will see the “heron” in a “fishing pose” and assume that the spot is already taken. This seems a perfectly reasonable strategy as a defence against a heron that occasionally flies over the pond but herons often follow the same route from their nesting sites to their favourite fishing areas. I am not so sure that a heron that regularly flies over the same pond will be fooled on a daily basis by a fake heron that is always in exactly the same position, no matter how realistic it may look. Birds have more intelligence than we sometimes give them credit for. A few years ago, I read a magazine article about heron behaviour. It included two stories. One was from a pond keeper who had bought a plastic heron as a deterrent. He said that it was now being used by a real heron as a perch to provide a vantage point to look for an opportunity to get at his koi. This messes up the theory that plastic herons are a deterrent. The second story was about a heron that was seen to land on a lake, float for a while, then stab around until it had caught a fish, then it took off again. The landing was described as almost a crash landing. The process of catching a fish and the take off was described as "very ungainly", but the heron was successful in catching its dinner. Putting up a barrier consisting of strong fishing line, spaced 4, 8, 12, and 16 inches above the copings, or above ground level for in-ground ponds, is a good way to prevent herons from gaining access. But make sure that the line is strong and that the top line is doubled, herons are strong birds and will try to push through it. An electric fence could be used. Do not use mains voltage, (230 v in the UK), or even 110/115 v through a step-down transformer, one koi keeper I know succeeded in accidentally electrocuting his fish with this method and was lucky not to have electrocuted himself! Use one of the battery powered electric fences that are sold to deter cattle or horses. They will not harm herons, pets or children but they deliver a sufficiently unpleasant “zap” to provide a deterrent to most predators. The feathers of large birds such as herons are good insulators and so they may not receive much of a shock but the strength of the fence still provides a good defence. Either way, whether a fishing line fence or electric fence is used, it would be a good idea to include a few strands of fishing line across the pond to prevent a heron landing directly into the water. “Netfloat” rings are less obtrusive. They float around the edge of the pond and can be fixed together to provide a floating barrier. They can be cut to fit around plants as shown on the left. PIR activated water jets are another possibility, and can be obtained at many outlets. Make sure that the water supply to them can be turned off before approaching the pond - they don’t distinguish between herons and humans. Can a biofilter in winter be boosted with bacteria from a tropical fish tank? The bacteria in a freshwater tropical fish tank filter are the same as those in a koi pond biofilter, (nitrosomonas & nitrobacter), but in winter, trying to seed the pond filter with their cousins from a tropical tank will not help. In winter, the koi pond’s biofilter bugs are either dormant or have a very low metabolic rate, waiting for warmer weather. As the water warms, they slowly increase their metabolic rate and begin to remove ammonia (and nitrite) and use it as an energy source just as they did the previous summer, but they will only do this at a rate that is controlled by the water temperature. If the tropical fish tank is in the usual temperature range of 20oC or higher, the filter bugs will be active in its filter, but as soon as they are put into the cold water of a koi pond biofilter in winter, they too will become dormant. 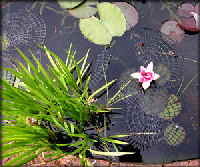 Bug activity is dependent on temperature so feeding fish very sparingly with low protein food until the water is warm enough for the bugs to have recovered their full colony size and efficiency is the best way to avoid what is usually known as “new pond syndrome” which simply means that the fish are producing ammonia faster than the bugs can remove it. Why is there an ammonia spike followed by a nitrite spike in spring? There are two species of bugs in the nitrogen cycle. The ones that convert ammonia to nitrite (nitrosomonas) and the ones that convert nitrite to nitrate (nitrobacter). In pond water during summer, both species of bugs multiply at a rate that balances the natural rate at which some are dying of “old age”. The colonies of both species soon achieve a stable size which is dictated by their food supply, (ammonia or nitrite). In an unheated pond during winter these bacteria do not actually die out completely. The colony sizes will reduce somewhat because the cold water causes the bugs to virtually stop multiplying but the “death rate” continues. So, in spring when the fish are beginning to regain their appetites, both species of bugs will have reduced colony size and they will also multiply very slowly whilst the water is still relatively cold. We are all human, and when koi that have hardly eaten, if at all over winter, start to regain their appetites, the temptation is to feed them as much as they will eat. This temptation should be resisted or the sudden increase in food fed to the fish will produce high levels of ammonia that the bug colonies will not be able to deal with immediately. What will happen is that the first bunch of bugs will have a feast on all that ammonia and will multiply in number until all the ammonia is gone. In doing so, their "waste" product, nitrite, will be produced in abundance. During this time, the second bunch of bugs will initially have had very little to “eat”. Then, as the ammonia is converted to nitrite, there will be more and more of their nutrient available and they will also begin to multiply in number until they have used it all. But they multiply at a much slower rate, and so the conversion of this nitrite to nitrate is much slower. What this means in practice is that there is initially a high ammonia spike which is fairly quickly converted to a high nitrite spike, but it takes much longer for this nitrite to be converted to nitrate and so it will persist for much longer. A second problem with a high nitrite level is that, if it gets too high, apart from the damage to your fish, it also will inhibit the rate at which bugs multiply. So it will take even longer for the level to reduce, and your fish will be suffering for a much longer period. One of the effects of high nitrite levels on fish is that it interferes with the way oxygen is carried around their bodies. The nitrite combines with the haemoglobin in their blood and changes it to methaemoglobin (pronounced met-haemoglobin) which cannot transport oxygen around their bodies. Because methaemoglobin is brown, this will cause the gills to look brown instead of ruby red. So a common name for nitrite poisoning is “brown blood disease”. In bad cases, fish can suffocate, even in highly aerated water. The safest way to avoid a high ammonia spike followed by a prolonged nitrite spike is to feed the fish very sparingly at first in spring. Test the water frequently, daily is not too often. There will be a sudden increase in ammonia level. Reduce feeding even more and the ammonia spike will reduce, but it will be replaced by an increase in nitrite level. Keep feeding to a minimum until this nitrite spike also reduces. ammonia or nitrite levels can be kept under control during this period by regular 10 - 20% water changes. It is sometimes said that these water changes will slow down the rate at which the biofilter matures, this is not true, As long as there is a detectable level of ammonia or nitrite in the water, the bugs will multiply to make use of the extra available food supply. The levels don’t need to be very high in order to trigger them to multiply. If anything, high levels of ammonia or nitrate are not only bad for fish but to repeat the above, they also inhibit the rate at which the bug colonies can grow. Can sodium fluoride in tap water have a negative effect on koi? This question was originally sent in to Koi magazine and I was asked to answer it. My answer is reproduced with their permission. Pollution of the aquatic environment by sodium fluoride from some industrial processes has been linked to delayed hatching of fish eggs and reduced growth, which is why, when I clean my teeth, I rinse my mouth into the sink, not my koi pond. Sodium fluoride is also an ingredient in fluoride toothpaste, but it is not added to tap water. It is a different chemical, hexa-fluoro-silicic acid, which is added to some water supplies. Either of these two fluorides, I will happily put into my mouth, but what about isopropyl-methyl-phosphoryl fluoride? Certainly not, it is sarin gas. We must not assume that all fluorides are the same. Natural water sources frequently contain fluorides. These natural levels are sometimes equal to, or higher than, the permitted level of artificially added fluoride. They cannot easily be removed at water treatment plants, so many of us have been drinking, and filling ponds with, naturally fluoridated water, all our lives. As far as I am aware, there has been no scientific research into whether water that has been fluoridated with hexa-fluoro-silicic acid affects koi, so it may be helpful to consider the following and see what it tells us. About 10% of UK water supplies have fluoride artificially added. The only practical way to remove this fluoride is by using the best quality reverse osmosis filters. Few koi keepers have these filters and I doubt that any of them fill their ponds exclusively with RO water, so it is reasonable to assume that 10% of the nation’s koi ponds contain artificially fluoridated water. If this water seriously affected the koi in those ponds, then 10% of koi keepers would either have to abandon their hobby or go to great trouble to obtain water that does not contain fluoride. Since this is not the case, it is my opinion that neither naturally, nor artificially, fluoridated water pose a significant threat to koi. Two Honeydew melons and an Orange added to one Cherry and two more Oranges is the same as two Honeydew melons, one Cherry and three Oranges. It’s true, count them. Don’t worry where I am going with this yet. For the moment just play along. Read the first sentence again and count the fruit. I’ll make it a little easier and use abbreviations. H stands for Honeydew melon, O stands for Orange, C stands for Cherry. If you don’t understand, read it again. You only need to be able to count. If you are sure you did understand, then read on. If you have got this far, then congratulations! You are now ready to take the next step towards realising that chemistry is not complicated. Understanding chemical equations is just as simple as adding up different types of fruit. But why did I choose such a devious way to get you to read this far? With respectful apologies to those who already have some knowledge of chemistry, a great many koi keepers think that what I do for a living is complicated. When I am asked questions about water chemistry, it is often difficult to give the answer because many will “switch off” at the first mention of chemical equations. By substituting letters as abbreviations for fruit, I have used a simple example to show what happens when fish respire and “breathe” carbon dioxide into pond water. Well almost. Bear with me just a moment longer. Two Oranges, 2 O, looks very much like the number 20. So to avoid confusion, chemists like to put the numbers after the abbreviation and also make them slightly smaller. So, 2 H’s would become H2, and 2 O’s becomes O2 and so on. Also H doesn’t only stand for Honeydew melon. In chemistry it is Hydrogen. O is Oxygen and C is Carbon. Nothing has vanished, nothing has been magically created, we have just shuffled the original atoms from one group into another. So now I have shown that chemistry is as simple as counting different types of fruit and then shuffling them around, I can get to the point of the question that I was asked, and if you keep in mind that we are doing nothing more complicated than shuffling 2 Honeydew melons a Cherry and 3 Oranges then you can easily understand the answer. Sodium bicarbonate has the chemical formula NaHCO3. To keep it nice and simple, we can forget about the Na, (it’s only a bit of sodium and it is not relevant in this case). We will just concentrate on the bicarbonate part of it, HCO3. (A Honeydew melon, a Cherry and 3 Oranges which we will combine with another Honeydew melon). The symbol <===> is just a chemist’s way of saying ”can change into or change back again” and also you can ignore the little + and - signs after the letters, that’s too complicated for now. How does sodium bicarbonate prevent sudden changes in the pH of pond water? Carbonates have a tendency to form different compounds with hydrogen, and, dependent on the pH, the proportions of these compounds compared to each other will change. Remember, this is not complicated, just count the fruit, and follow how the H’s move back and forth. In the equation above, as the pH tries to rise, carbonic acid (on the left) will dissociate, first into bicarbonate and one H+ ion (in the middle), or further into carbonate and two H+ ions (on the right). Dissociate is just a chemist’s way of saying, split up. As it dissociates towards the right, it releases, first one, then a second H+ ion. Since pH is the ratio between H+ and OH- ions, what is happening is that as the pH tries to rise, more and more H+ ions are released into the water. These will reduce the value of the pH back to what it was before it began to rise. If the pH begins to fall, the reverse happens. Carbonate (on the right) will grab hold of, first one, then a second H+ ion as it changes to bicarbonate then to carbonic acid (on the left). This reduces the number of H+ ions and so will increase the value of the pH back to what it was before it began to fall. Chemicals that try to keep the pH at a particular value are called “buffers”. There is a natural “balance point” on the pH scale where sodium bicarbonate does not release any H+ ions nor does it absorb any. This is approximately 8.4 pH and so sodium bicarbonate is called a buffer with a preferred value of 8.4. So, how does this stabilise the pH? When we add bicarbonate to our ponds, we are starting this equation in the middle. It can go either to the left and resist a fall in pH or it can go to the right and resist a rise in pH. If we add bicarbonate when the pond is below 8.4 pH, the equation moves to the left and H+ ions are absorbed. This makes the water more alkaline. If there is sufficient bicarbonate, it will continue to do this until the pH is 8.4 when the process will stop. If we add bicarbonate when the pond is above 8.4 pH, the equation moves to the right, and H+ ions are released. This makes the water more acidic. As above, if there is sufficient bicarbonate, it will continue to do this until the pH is 8.4 when the process will stop. To give a complete answer to this would involve chemical equations far more complex than the ones above, and they could not be simplified by imagining shuffling around just six pieces of fruit. But briefly, koi will adapt to any reasonable value of pH provided it is fairly stable. The best value is in the range of 7.0 to 8.5 and it should not vary by more than 0.2 per day. The most common pH problem that koi have to face is a “pH crash”. Biological filtration has a tendency to reduce the pH, and a pH crash will be caused if there is not sufficient carbonate in the water. Keeping the value of carbonates (KH) at between 90 and 125 mg/L (5 to 7 dKH) is a sure way of avoiding this situation. Sodium bicarbonate is cheap, easily available and you cannot “overdose” a pond and shift the pH out of the acceptable range. Just ensure that you add no more than 30 gm per 1,000 litres per day so that the pH does not change too quickly. Small amounts will shift the pH towards 8.4. A larger amount will shift the pH to 8.4 and will keep it there. What plants should be grown in a vegetable filter and why? Fish excrete ammonia into the water as a waste product. Ammonia is toxic to fish, so it must be removed and the usual way to do this is with a biological filter. Bugs in the biological filter, firstly convert ammonia into nitrite and then convert that nitrite into nitrate. Phosphate is a common constituent of koi food and excess phosphate is also excreted into the water. Nitrate and phosphate are excellent plant foods. If allowed to build up in the pond water, they will encourage the growth of blanket weed or the kind of algae that makes pond water green. Water changes will keep reducing the levels, but a vegetable filter is an effective way to almost remove them altogether. Any aquatic plant that grows vigourously will take huge amounts of nitrate and phosphate from the water as it grows. 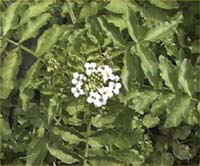 One commonly used plant is Norfolk Reed, but my favourite is watercress. Although watercress is a very effective plant to grow in a vegetable filter, it can look uninteresting as a backdrop to a pond. To make the vegetable filter look more visually pleasing, you can add any aquatic plant that grows tall and has flowers or interesting foliage. Any plant that is included in a vegetable filter with a rapidly growing plant such as watercress has to be tall or it will be swamped. Arum lilies do well with watercress and they tend to flower all summer until they are cut down by winter frosts. Flag Irises have a shorter flowering season but clumps of them will brighten up the filter when they are in bloom. To be effective, a vegetable filter, should be as large as possible. Growing a few plants in a pond will not have a great effect on the nitrate or phosphate level. To keep it growing vigorously, watercress should be regularly cut back hard. Gram for gram, watercress contains as much vitamin C as oranges, more calcium than milk and more iron than spinach. It is also full of beta-carotene and vitamin A equivalents, so I don’t waste it. When I cut it back, I throw bunches of it into the pond for the koi to eat, they love it and it’s good for them. To obtain uncontaminated watercress, buy a bag of mixed salad from your local supermarket. Pick out the watercress and chuck it into a bucket of water so that it can root. Eat the rest! How Do Reverse Osmosis (RO) Water Purifiers Work? In order to understand how reverse osmosis water purifiers work, it will first be necessary to understand what osmosis actually is. Osmosis is the flow of liquid through “semi permeable” membranes. These materials differ from permeable or impermeable materials as follows. An impermeable, or water-proof, material is one that will not allow liquids to pass through it. Glass is impermeable and it can be used to store liquids. If water is put into a glass container, the water will stay inside it indefinitely. (Ignoring the effects of evaporation, that is). A permeable material is one that will easily allow liquids to pass through it. Cotton cloth is permeable. It would be foolish to make storage containers for liquids out of cotton. The liquid would run straight through. There is another type of material that cannot be described as either permeable or impermeable. These materials are called “semi permeable”, and it is this type of material that is necessary for osmosis. Our skin is an example of a semi permeable membrane. It is water-proof enough to keep our blood and body fluids inside, but it will allow water to pass through when we perspire. Also, if we sit in a bath for too long, our skin will absorb water and become puffy. When osmosis was first discovered, the early experiments were done using pig’s bladders as the semi permeable membrane. Advances in technology now make it possible for semi permeable membranes to be manufactured artificially. 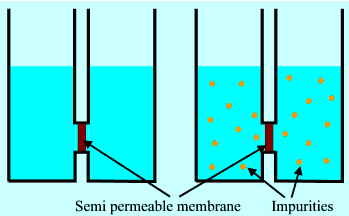 On the right, are two examples of a double container with both halves joined by a semi permeable membrane. One has both sides filled to identical levels with pure water. The second has both sides filled to identical levels with water that contains impurities. 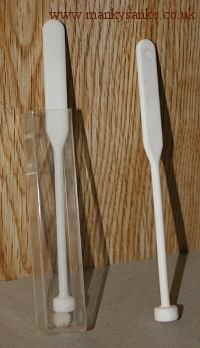 In both cases, it is not surprising to find that there is no movement of water through the membrane from one side of the container to the other. Gravity causes water to “find its own level”, so if the levels in each half are initially the same, both halves are in balance, and there will be no water flow. However, if each half is initially filled to identical levels, but with water that contains different concentrations of impurities, something surprising happens. Water flows through the membrane, in the direction of the arrow, leaving the impurities behind. As the concentration on the left is being diluted, the loss of water from the right hand side means that this concentration is increasing. This process will attempt to continue until the relative concentration of impurities in both halves is the same. Since the force that drives this flow has limits, it will stop when the downward force of gravity on the raised liquid is equal to the force that is trying to make more water pass into the left hand side and cause the level to rise. Having understood how osmosis works, reverse osmosis is a piece of cake. The fact that osmotic pressure has limits, can be exploited to make water purifiers. If the left hand side is filled with water containing impurities and pressure is applied to it, the water can be forced to flow through the membrane in what osmosis would call the “wrong direction”. Only pure water can flow through the membrane. Since only pure water passes through the membrane, the impurities are left behind. If the left hand side is constantly refilled with impure water, and the pure water in the right hand side is constantly drawn off, this will form the basis of a continuous flow reverse osmosis purifier. In practice, it is necessary to regularly back flush the membrane as it will quickly tend to scale up with the accumulation of impurities that it has filtered out. The amount of water that is used to do this is significant. Reverse osmosis purifiers are very good at removing contaminants but they waste a lot of water in doing so. They are commonly used to remove, from normal tap water, the contaminants that are harmless to us, but which are harmful to koi. When used to purify tap water it is common for them to have an initial carbon filter to remove the chlorine to prevent it from damaging the membrane. Can Aeration Be Turned Off? An interesting question has been asked: “If an air pump is turned off for an hour in the evening, does the dissolved oxygen in the pond water disappear immediately the air pump stops?” (The pond has an aerated bottom drain and I assume the air is being turned off so that the koi can be seen more clearly). I could approach the answer from a technical point of view but it is much simpler to draw a comparison with a situation that we all have experienced and can relate to. A pond can be compared to a room that has an open window. Assuming there is no wind to influence the situation, the slow, but steady, air flow through this window will provide adequate ventilation for a small number of people. As the people in the room breathe in oxygen and breathe out carbon dioxide, the level of oxygen will decrease, and the level of carbon dioxide will increase. With only a few people in the room, this change will not be noticeable and they will breathe comfortably. The larger the area of the window, the greater will be the number of people that can occupy the room. In comparison with a pond, the open window is equivalent to the surface of the pond. The greater the surface area, the greater will be the number of fish that can live in it using just the natural gas exchange at the surface to provide them with oxygen and to remove the carbon dioxide that they produce. In a lightly stocked pond with a large surface area, there will be enough exchange of gasses through the surface area alone and additional aeration will not be needed. If you want to increase the number of people that a room can hold, you could blow air into the room by means of a ventilation fan. This will not only introduce more fresh air into the room, but in doing so, it will also push stale air out of the window and prevent carbon dioxide from building up. The more powerful the fan, the more people will be able to use the room in comfort. This would be the equivalent of putting air stones into a pond. The faster the air is introduced through these air stones, the faster the oxygen in the water is replaced and the faster the carbon dioxide is removed, so therefore, the greater the number of fish the pond could hold. If you were to turn off the ventilation fan when the room is full, the occupants will not immediately feel the effect but, after a while, as the oxygen is being used up, they will find it harder to breathe. There will still be some ventilation through the open window, but this may not be enough to prevent the occupants from suffocating. It all depends on how many people are in the room, as to whether the open window will supply enough fresh air for them to breathe in comfort, or at least survive until the fan is turned back on. Whether the room is being used for aerobics or for yoga classes, and the number of occupants are factors deciding for how long the ventilation can be turned off. Similarly, in a pond, active fish consume oxygen at a greater rate and also, the more fish there are, the shorter will be the time they can be left without additional aeration. If you turn off an air pump for any length of time and don’t want to spend that time doing regular oxygen tests, then watch your fish. They will tell you whether or not they are finding it hard to breathe. If they are carrying on as normal, everything is fine. If they start showing greater or more rapid gill movements, or if they spend more time at the surface, they need more air. As a “rule of thumb”, with good aeration and normal stocking rates, there will be a reservoir of dissolved oxygen in the water that will be adequate for them to breathe for an hour or so after the air is turned off. A few points you should bear in mind. The warmer the water, the less oxygen it can hold. Koi are happy with an oxygen level of 7 to 8 mg/L (7 to 8 ppm). They need a minimum oxygen level of 6 mg/L to be comfortable, and they will die quickly if the level falls to around 3 mg/L. So don’t push your luck! As soon as the first fish looks slightly “out of breath”, the oxygen level will be dropping below the lowest acceptable level, so turn the air back on immediately and don’t leave it off for anywhere near as long next time. It is a sensible idea, if you feed koi when the air is off, to bear in mind that as the protein in their food is digested, they produce ammonia. The nitrifying bugs (nitrosomonas and nitrobacter) in the biofilter will soon get busy converting this into nitrite and then into nitrate. In order to do this, they will use a huge amount of oxygen, which they will also take from the water. Unless there is sufficient continuous aeration in the filters, the water returning to the pond will be depleted of oxygen. As this mixes with the rest of the pond water, it will dramatically shorten the time during which aeration in the pond can be turned off. It is never a good idea to turn off the air supply to the biological chamber of the filter unnecessarily. Do Vegetable Filters “Drink” Your Pond? Anyone who has given a talk on their favourite subject will know that you get asked some very strange questions. This one came up whilst I was giving a talk about water quality and water testing. I was talking about nitrate levels in pond water. In the nitrogen cycle, ammonia from fish is converted by the biofilter nitrifying bugs (nitrosomonas and nitrobacter), first into nitrite and then into nitrate. This nitrate is not particularly harmful to koi unless it is allowed to build up into very high levels. However, especially when it is accompanied by phosphate from fish food, it makes excellent plant food, and if it is not removed from the water, it will encourage the growth of blanket weed and the kind of floating algae that makes the water green. There are pond treatments containing enzymes that destroy algae, or chemicals that can inhibit these algae, but the best approach is to remove nitrate and phosphate from the pond by water changes, or by my favourite method, a vegetable filter. [Edit: That was my favourite method at that time, I now prefer anoxic filtration]. Plants need to drink some water in order not to dry up and die. They also need water for the biological chemistry inside them to work. Many chemicals will not react with each other if they are dry. They need to be dissolved in water first in order for them to react. Plants also allow a small amount of water to evaporate from their leaves to keep themselves cool in the same way that we do when we sweat to keep cool. So it is clear that pond plants and vegetable filters need to drink some water, but how much? We can get a rough idea of the quantity involved by thinking of flowers in a vase or pot plants standing in a saucer of water. Even with the direct evaporation of the water itself, the amount of water that would be needed to keep the vase or saucer topped up is small. So, while it is true that plants need to drink some water, the amount of water is not great. Plants also need nutrients, and it is mainly the hairs on their roots that absorb these. This process is called a Proton Pump. Cells in the root hairs pump out hydrogen atoms into the soil or other medium in which they are growing. In chemical terms these are known as H+ ions. The positive charge on these ions causes the outside of the cell to become positively charged. Since this leaves the cell depleted of H+ ions, there is negative charge left in the cell, forming a potential gradient across the cell wall. This is NOT magnetism, but for a basic understanding of what is happening, it may be easier to imagine that charged particles are like little magnets and can attract or repel each other. The potential gradient attracts nutrient molecules into the cell. The concentration of nutrients inside the cells in the root hairs can be as much as 10,000 times greater than that outside. Once inside the root cells, these nutrients are transported to the stems and leaves etc. along with the water that has already been taken up. The use of ozone as a means of sterilising pond water is a very controversial subject. Recently, on a chat forum, I was asked to give my opinions on ozone as a steriliser in koi ponds. This is an expanded version of the answer I gave. Single atoms of oxygen (O) do not like being on their own so they join up in pairs. This is why we refer to oxygen as O2. What an ozone generator does is, smash up some of the pairs and force them to join up in threes (O3) but this is an unstable relationship. So, the third member is soon evicted and looks for a new partner. If it finds another single oxygen atom, it makes a new pair (O2) and peace is restored. If, instead it should bump into an organic cell it will "burn" it's way in and, in doing so, the cell will be fatally damaged. Bacteria are single cell organisms, so if their only cell is damaged then they are, to all intents and purposes, killed almost immediately on contact with water containing ozone. Ozone is not particular about what type of organic cell it burns into. It will destroy whatever cell it comes across. This is why, when ozone is used to sterilise swimming pools, great care has to be taken to draw water out of the pool, sterilise it in specially designed equipment, and then remove all trace of single oxygen atoms from the water before it is returned to the pool. This ensures that ozone cannot escape into the pool hall and damage the lungs of the bathers. Ozone is produced naturally in the atmosphere in very low concentrations. The air, after an electrical storm, or out at sea, contains trace amounts of this form of oxygen. It feels pleasantly “fresh” to breathe and gives an invigorating feeling due to the higher amount of oxygen in each molecule, but if it is breathed continuously, at higher concentrations, it has a corrosive effect on the lungs. In anything other than very low concentrations, ozone is nasty stuff. This is where I have concerns about the use of ozone in koi ponds. Ozone will damage fish cells (especially gills) with the same efficiency that it damages other organisms. With long-term exposure, the effects can be cumulative and the full effects may not be noticed for some time. Fish have natural systems that replace dead or damaged cells, but you will be relying on the self-repair systems of the fish being able to replace cells that have been damaged by ozone as quickly as damage is occurring. Also, consider the effects of ozone on your biological filter. Ozone is indiscriminate. If it is concentrated enough to kill off harmful bugs, then it is concentrated enough to kill off our filter bugs. If water is drawn from the pond, sterilised in external equipment, and then any excess ozone is removed before it is returned to the pond, then I would be happy to recommend it's use. But this equipment is something that has to be installed and maintained properly. It is not a handy add-on that can be plumbed into a pond without full knowledge of how it works and the risks that are involved. The risks are not only to the fish in the pond but also include the risk of damage to our lungs if ozone was allowed to build up in an enclosed space. This would include indoor ponds, rooms full of fish tanks or an equipment room with little ventilation. Although the risk of lung damage is very small, it should not be ignored. The risk to fish is significantly higher due to the fact that if a high level of ozone is allowed to build up in their water then exposure will be continuous. I have seen, (with horror), ozone sterilisers that inject a very small amount of ozone into the water as it is being returned to the pond. The thinking behind this method appears to be that if ozone is put, at a low level into the pond, then it will do more damage to bugs than it does to the fish. At best the level of ozone is so low that the amount of damage that is done to the fish is miniscule. If this is the case then the question to be asked is this: “Is this level of ozone actually effective at reducing the level of bacteria in the pond?” Bacteria multiply. It is no good just killing a few. All that will happen is that you will create a “space” in their environment that will be rapidly filled by new bacteria produced by the ones that did not get killed. To reduce the overall level of bacteria to the point that the population dies out, you must kill them at a faster rate than they can multiply! This means that, to be effective, the ozone level in a pond must not be at such a low level that it will only kill a few bugs. It must be high enough to cause mass extinction. But if the level of ozone in the water is high enough to cause populations of harmful bacteria to be killed faster than they can multiply, then surely it will have the same effect on the bugs in the filter. Also, at this level, the damage done to the fish will be greater due to the higher number of free oxygen atoms that will encounter a fish cell instead of a bacteria cell. The final question to be asked is: “What is ozone primarily used for in a pond?” If your answer is that it will provide continuous reduction of harmful bacteria, then perhaps it would be better to concentrate on keeping the pond hygienic so that these bacteria do not breed in the first place, rather than trying to eliminate them afterwards. I could not close without showing off a bit of water chemistry and mentioning that ozone will also make a slight reduction in the levels of toxic free ammonia (NH3) and nitrite (NO2). This is not a reason to advocate using ozone in a pond as a method of reducing ammonia and nitrite. Any chemists amongst you will immediately notice from these equations that the total level of ozone would have to be higher than the total level of ammonia plus nitrite in order to remove all of them. To maintain this level of ozone permanently would do more harm to the fish than would be done by these pollutants. A properly working biological filter is still the best way to dispose of them. Many pond keepers come to koi keeping by accident. I, like so many others started out with a goldfish pond in which I successfully kept a range of different varieties of goldfish. I didn’t like fountains but I liked waterfalls, especially as I knew that these would help aerate the water. So each pond would include one of these features and there was obviously a pump to drive it. Apart from this, none of my goldfish ponds ever had any filtration. For many years the fish were healthy and deaths were extremely rare. This is because a goldfish pond, with plants growing in pots on shelves or in gravel at the bottom, is a close approximation to a natural pond or lake. In the wild, fish swim, eat and excrete their waste products, all in the same water. They don’t poison themselves with their own pollution because naturally occurring bacteria break down the pollutants into food for the plants that grow in these waters. This process is known as the nitrogen cycle. In a well planted goldfish pond, even without filtration, there are sufficient environmental opportunities for the bacteria in the nitrogen cycle to grow on the walls and floor of the pond in sufficient numbers to break down the pollutants that the fish produce into nitrates, which are then used as food for these plants. There is nothing wrong with this type of pond but the pond keeper should be aware that it isn’t suitable for koi. If you are at this stage of pond keeping and wish to graduate to keeping koi then it would be well to be aware of the differences between a goldfish pond and a koi pond and read widely on the subject before attempting to make the change. The absolute minimum depth for a koi pond is generally accepted to be at least four feet deep over most of it’s floor area. If possible, five or six feet deep would be much better. Koi use different muscles to swim at a constant depth to the muscles that they use when they also swim up and down through greatly differing depths. By providing them with the opportunity to regularly exercise all the muscles in their bodies, they will develop much better body shape. In an unheated pond in winter they will fare better if they can retreat from the cold water near the surface to the relatively warmer water at the bottom of a deep pond. A well designed koi pond should not have any sharp edges, either in the pond or hanging immediately over the water surface. Koi are not, by nature, skittish fish but will occasionally dart away from an unexpected movement. At feeding times, hungry fish will try to climb over each other to get to the food. Sometimes koi will dart forward to flush water through their gills to clean them. If there are objects in the pond or if there are overhanging rocks, then the koi may injure themselves. At best, these injuries may leave a scar that would spoil the look of the fish. Worse still, the wounds may become infected, and, if untreated, the infection could lead to the death of the fish. While it is arguable that a few small koi could be kept in a large pond which has no form of filtration, it is, without doubt, impossible to keep a pond full of koi without proper filtration. A koi pond should have a filtration system suitable for the number of fish and the size of the fish that it will eventually have to support. A point that is usually well understood is that the biological section of a filter system deals primarily with the waste products of fish. Less well understood, however, is that these waste products depend more on the amount of food (and type of food) that the fish eat than the size of the pond. So, do not buy filter systems solely on the size of the pond. It is wise to ensure that your filtration will cope with the expected ammonia load that the fish will produce. There are many different types of ready-made systems on sale, which are designed to simply and easily connect to your pond. These are usually sold with claims of what they are suitable for. In general you get what you pay for. Do not expect the same performance from the budget end of the market as you would from the more expensive systems. But also be careful of exaggerated claims or sales talk. Be cautious of the claim “This Wizzy Gizmo 10,000 is suitable for a ten thousand litre pond….”. This only means that it will work well on an average pond up to ten thousand litres. There are a whole series of other factors to take into account. How many fish will you eventually have, what will be the ultimate size to which they will grow and especially what will they eat, are the most important factors. Remember that a size 1 (150mm – 250mm) koi has the ambition to grow to a size 5 (550mm – 650mm) or larger in a few years. So will all its mates! As will the extra fish that you bought in the meantime. Clearly, unless you are already experienced enough to be confident that you know all the pros and cons about filters you need advice. While koi dealers are primarily salesmen, they will not be in business long if they give poor advice in order to maximise their sales. But different dealers have different viewpoints and as a result may appear to give conflicting advice. I cannot stress too strongly that you should join a club. By meeting with other koi keepers you will get first hand experience of how the “Wizzy Gizmo 10,000” actually performs in practice. Is it difficult to maintain? Does it need to be painstakingly stripped down and cleaned every week or so? How much does it cost to run? There are no right or wrong solutions in filtration, just different ways of tackling the same problem. koi keeping is neither exclusively an art, nor a science, it is a combination of both. One word: Don’t. Unless, of course, you will be exactly following the advice of an expert or copying something you have seen that works well. Even then do not make modifications to save money. Example, (at the time of writing), vortex £200, dustbin £20, therefore you save £180. Wrong! A vortex is that particular shape because it has to be. A dustbin will not do the same job as efficiently. The dustbin may also be made of a type of plastic that will leach toxic chemicals into the water. You may soon have to take your £180 “saving” and buy some new fish, and a proper vortex. Koi keeping is a hobby. Hobbies are supposed to be fun. If you gain more pleasure from saying, “I built that” than you do from saying, “I bought that” then you will probably want to build your own filter system. Few koi keepers have an unlimited budget to spend on their hobby so sometimes the only way to add a particular feature, such as a protein skimmer or trickle tower, and not exceed your budget, may be to build it. The savings can then be spent on better quality fish or squandered on household bills. Conventional wisdom says that the turnover rate of a koi pond should be at least once every hour. What does this mean in practical terms? To achieve a one hour turnover in a 4,000 litre pond, the pump must be capable of pumping 4,000 litres of water per hour through the filter system. For a 10,000 pond it must pump 10,000 litres per hour and so on. But it is important to realise that your pump will not reach its theoretical maximum performance once you have connected it into your filter system. This is because the manufacturers test the flow rate of their pumps under optimum conditions. For example, a typical test rig will have water from the test tank fed directly into the pump suction (input). The delivery (output) of the pump is returned directly back to the test tank. All the pipe work is as short as possible and the pipe diameter is as large as possible. There are no unnecessary bends to impede the water flow. As soon as this pump is connected into a realistic situation, its performance is reduced. With one well-known pump, merely lifting the return pipe work by one foot so that the water can go back to the pond via a small waterfall will literally reduce the flow of water by 50%. This is an extreme case but I recently tested a pump, which, it was claimed, would pump 11.3 cubic metres of water per hour. Even on a well-designed four bay filter system, with very few bends in the pipe work, it only achieved 7.1 cubic metres per hour. A loss of over 1/3 of its rated performance. This could have been made much worse if the system had included a few extra carelessly placed bends or venturi fittings in the return pipe work. It is clear that the performance could easily have been reduced to only half of the manufacturer’s rating. What would be the effect of losing 50% of the pump’s performance? Quite simply, if you were expecting a one hour turnover, you would actually only be getting a two hour turnover. Worse still, if you were expecting to have a two hour turnover, you would have extended this time to once every four hours which is not acceptable for a well managed koi pond. Both the hypochlorous acid and the hydrochloric acid that are formed when chlorine is dissolved in water are harmful to fish. Chlorine gas does not enjoy being dissolved in water. Given half a chance it would prefer to escape into the atmosphere and help destroy the ozone layer. This is not good for the planet but at least the water would be safe for fish to live in. The ease with which chlorine “gasses off” is also a bad thing for the water companies. If the chlorine were to escape from the mains water before it reached our tap it would no longer be safe for us to drink, so to prevent this from happening, ammonia (NH3) is sometimes also added to the water supply. This combines with the chlorine already added causing it to change into a form of chlorine known as chloramine (NH2Cl). Chloramine is less effective as a disinfectant but it will stay in the water very much longer. This means that it will stay dissolved in the water making it safe to drink until it reaches our taps. It also means that it will not “gas off” even if we aerate the water for a couple of days before we add it to our ponds. Worst still is the fact that chloramine is more toxic to fish than chlorine. Haemoglobin is the part of fish’s blood (and ours) that carries oxygen from the gills (or our lungs) to the tissues that require oxygen to function. Chlorine combines with haemoglobin to form met-haemoglobin, which cannot carry oxygen. Fortunately for us the amount of chloramine that we ingest is not great. We do not drink large amounts of water, and the water that we do drink goes into our stomach, where the chloramine is broken down, rather than directly into our bloodstream so there is no damage to our haemoglobin. But if fish were made to live in water containing chloramine, it would be directly absorbed into the bloodstream via the gills where it would cause damage to the haemoglobin, and this damage would be happening 24 hours per day, 7 days per week. Over time, as more haemoglobin changes to met-haemoglobin, their blood would turn brown and they would eventually die of oxygen starvation. Another reason to avoid adding water containing chlorine and chloramine to the pond is that they were originally added to the water supply to kill bugs. These chemicals are indiscriminate and will also kill off the “friendly bugs” (nitrosomonas and nitrobacter) in our biological filters. This will allow the ammonia and nitrite levels in the pond to rise to levels which are toxic to fish. If you do not use a water purifier to remove chlorine and chloramine from your pond water, then your fish will be under attack from oxygen starvation, ammonia poisoning and nitrite poisoning. They will have an unhappy and possibly short life. Manufacturers of products such as these do not like to divulge their trade secrets, so it is difficult to determine the exact make-up without expensive laboratory analysis. But one thing is certain. A common main ingredient in liquid dechlorinators is sodium thiosulphate (Na2S2O3). 1/. Water companies often add ammonia to their chlorinated water to make chloramine, which is a more stable disinfectant for their purposes. So, if chloramine is present, then the sodium thiosulphate will only remove the chlorine and will leave the ammonia still in the water. The levels vary greatly from one company to another and according to what the companies think appropriate at the time, but in general, the level of residual ammonia will not be high. Under normal circumstances it will soon be removed by a properly working biological filter but you should be aware that if you are doing water changes to reduce the level of ammonia in your pond, a liquid dechlorinator may add to your problem. 2/. When sodium thiosulphate is added to water containing chlorine, they combine to make salt. Salt should not be added to a pond in which zeolite is being used to remove the ammonia as it will cause the ammonia to be released back into the water. (See zeolite below). Again the levels are not likely to be great but I advise caution when using a liquid dechlorinator in a pond where zeolite is present. There are over 200 types of zeolite. Forty-eight occur naturally and the rest are man-made. They have a curious micro porous structure known as a “molecular sieve” In simple terms they can be thought of as being full of countless tiny holes, the size of molecules, that can hold a whole range of different molecules, but only one at a time. Sodium (Na+) is one molecule that can be “parked” in these holes and ammonia (NH3+) is another. Zeolite, for pond use, has these holes full of sodium molecules. If it is placed into water containing ammonia, the zeolite will release sodium molecules from their parking bays and absorb* ammonia in their place. This means that ammonia is removed from the water and replaced with sodium, which is harmless to koi. When all its sodium has been released into the water, the zeolite cannot absorb* any more ammonia. Zeolite can be recharged by placing it into a strong salt solution for a few hours. The strength of the solution is not important as long as it is fairly strong. Soaking overnight in a solution of 20 grams of salt per litre is a typical method used to recharge it. When zeolite is placed in such a solution, the high concentration of sodium ions force their way into it and in doing so the ammonia is forced back out and the zeolite will again be full of sodium. After rinsing in fresh water to wash away any excess salt water and the ammonia that the water will now contain, the zeolite is ready for re-use. I would not recommend the use of zeolite as the normal method for removing ammonia from pond water. The bacteria in the biological section of your filter should be doing that unaided. Zeolite should only be used as a temporary measure to reduce sudden elevated ammonia levels until a permanent solution can be found. For example, if you suddenly introduce more fish into a quarantine tank than it is used to, zeolite can be used to reduce the sudden rise in ammonia until the nitrifying bugs in the biofilter have multiplied sufficiently to remove the greater amount of ammonia that these fish will produce. A word of caution. An absolute zero level of ammonia in a pond is not desirable. The ammonia bugs (nitrosomonas) need some ammonia to supply their energy needs or they will not thrive. Of course, the level should be so low that it is undetectable by ordinary test kits but there should always be a residual level. When a test kit shows “zero” it does not mean that there is no ammonia in the water. It really means that the level is so low that it is undetectable. If you successfully removed all the ammonia using zeolite there would be none left for the nitrosomonas. Instead of multiplying, they would actually die back due to lack of nutrients. If the nitrosomonas died back then their waste product, nitrite, would also be reduced. This would mean that the other colony of bugs, the nitrite bug (nitrobacter), would also die back due to lack of nutrients. Since the world of bacteria is very competitive, any bacteria colony that stops reproducing and pushing itself to the “top” of the biofilm will find that other bacteria will grow over it. Once other bacteria has grown over them, they would find that access to nutrients and oxygenated water would be permanently cut off. The extinction of the colonies of nitrifying bugs would become a certainty, and the space they vacate and their “corpses” could provide a breeding ground and food for less friendly bacteria which may then escape into the pond with detrimental effects on the fish. Since zeolite releases any ammonia it has absorbed* when placed in water containing salt, it must not be used in a pond where salt is used as a treatment. The presence of high concentrations of sodium will, at best, reduce the ability of zeolite to absorb* ammonia or, if salt is added when the zeolite has already absorbed* some ammonia, it may abruptly release some or all of the ammonia back into the water. Also I would advise caution if using a dechlorinator containing sodium thiosulphate (Na2S2O3) if zeolite is also in the water. The salt that is produced when sodium thiosulphate removes the chlorine is only at a very low concentration but will reduce the ability of zeolite to absorb* ammonia. (See dechlorinators above). A rough guide to the quantity of zeolite that should be added to the pond to remove ammonia is 0.75 kg per 1,000 litres. If clinoptilolite (the type of zeolite recommended for koi ponds) is used it will absorb* approximately is 9 mg of ammonia per gram of zeolite. This is only a guide, the actual figure will vary depending on the geographical source of the material, which has a huge influence on its composition and therefore its capacity to absorb* ammonia. *Note for chemists, pedants and smarty-pants: - On a molecular level, zeolite does not “absorb” ammonia or sodium ions, the correct expression is that, it will “adsorb” ammonia or sodium ions. But as only very sad people know the difference I have used “absorb” because it is a word that everyone else can understand. In the wild state, fish have evolved to make best use of the conditions in which they live. Good quality koi are highly inbred but they still retain the natural behaviour of their distant ancestors. An example of this behaviour is the way that fish naturally tend to try to swim against the currents of water that occur in their pond. Have you ever considered why they do this? The answer is really simple. Although it takes much more effort to swim into a current rather than swim with it, think about the effects of natural selection and it’s effect on wild fish in lakes and rivers. Over countless generations of fish, those that were too lazy or too stupid to swim against the flow of water would soon find that they were washed over a waterfall or out to sea. These lazy fish would not survive long enough to breed and would therefore not pass this lazy tendency onto the next generation. Only the fish that enthusiastically tended to swim against the current would live long enough to breed and to pass their energetic behaviour onto future generations. Another example of inbuilt behaviour which can mean life or death to fish is the natural reflex action to dive and/or swim for cover when startled by a predator or sudden movement. The first fish that is concerned about it’s safety, quickly dives or swims away. Any nearby fish that sees this rapid movement quickly follows, regardless of whether or not it has seen the danger. Obviously any fish that does not exhibit this behaviour is likely to be left behind when danger threatens and also will not live long enough to pass on this stupidity. This behaviour is often seen at feeding time. One fish will suddenly dart forward to reach some food and, almost instantaneously, the surrounding fish will scatter. They did not see danger but reacted instinctively to the rapid movement of others. Why do koi tend to swim together in shoals? This is less obvious in small ponds but can be seen clearly in large ponds. You might think that by grouping together, fish present a larger and more obvious target to predators, but the situation is a little more complex than that. There is more than one way for a fish to live a long and successful life. It could spend it’s life skulking about and hiding from predators. If it were never seen, it would never be eaten. But carp varieties cannot live like that. They have big appetites and tend to grow to a large size. These large fish have to spend much of their time swimming around looking for food, so hiding is not an option. The next best way not to get eaten is to swim together in groups and preferably to be right in the middle. This way, the fish not only benefits from safety in numbers but the whole shoal can be aware of the “dive for cover” reflex of any other fish and also head for safety as above. We must be careful of crediting fish, or most wild animals, with the ability to think situations through and work out the best way to survive. Evolution does not work like that. By far the greatest benefit of a particularly successful pattern of behaviour will be the tendency to live longer and more successful lives. They will therefore produce more young who will probably inherit the same behaviour patterns. Why is watching and understanding the behaviour of your fish important? Natural selection in koi has been replaced by a man-made selection process in which koi are not selected by ability to survive in the wild. Instead they are chiefly selected by a process in which the aim is to produce better looking fish, not the ability to exhibit a behaviour pattern that would mean their survival in the face of adversity. For example, a fish that might “think” that sunbathing near the edge of it’s pond is a good idea is no longer eaten by a predator. Well, not that often anyway. We, the pond keepers, take what precautions we can, in order to ensure that predators cannot get to our fish. This means that our fish can exhibit all sorts of behaviour and still live to a good age. This is why it is important that pond keepers should get to know the individual behaviour of their koi. A fish that hangs around, quietly away from the others is not necessarily ill, if that is what it always does. It may be a quiet fish! But if a fish that is normally fairly active, suddenly separates itself from the rest and sulks in a corner, this is a warning that it may be sick. Similarly, very few koi seem to jump for the fun of it. So if a fish that doesn’t occasionally jump, suddenly starts jumping, then this change in behaviour should be viewed with suspicion. Spend time watching your koi and you will get to notice that they do not all behave in exactly the same way. For example, at feeding time, some will barge the others out of the way to get to the food and will “hoover up” just about anything that is going. Others are opportunists, they will hang back and wait for the moment when they can grab a pellet and swim away. Some seem to be unwilling to join in the scramble for food, they will wait until it is quiet before they will feed. Spend time observing your fish and getting to know their individual habits. It is not differences in behaviour that is important. What you should be looking for is changes in behaviour, it may be a symptom of a health problem. pH stands for potenz hydrogen (a German expression meaning the activity of hydrogen). It must always be written pH even if it is a title or it is at the beginning of a sentence as above. To write it as PH or Ph is incorrect as these two abbreviations mean something entirely different. So, with the pedantic stuff out of the way, what is pH? pH is a measure of the alkalinity or acidity of a substance. It is the balance between free hydrogen ions (H+) and free hydroxyl ions (OH-). Pond water that is exactly 7.0 is neither acid nor alkaline, it is neutral. Water that is below 7.0 is acid, and above 7.0 it is alkaline. pH is measured on a logarithmic scale which, in simple terms, means that each time you change by one on the pH scale, the acidity or alkalinity has changed by a factor of ten. For example, if the pH of your pond falls by one on the pH scale from 8.5 to 7.5 it has become ten times more acidic. Similarly if the pH falls by two from 8.5 to 6.5 it has become one hundred times more acidic. In koi keeping terms an abrupt fall in the pH such as this is known as a pH crash. Koi are happy if the pH of their pond water is anywhere in the range of 7.0 to 8.5 and are not too stressed if the water is between 6.5 and 9.0. But the actual value must be stable because their blood pH is an essential part of the way that carbon dioxide is removed from their blood stream and oxygen is taken up from the water to replace it. The pH of their blood rises when it is rich in oxygen and falls as their body tissue uses this oxygen and replaces it with carbon dioxide. Their blood chemistry will adjust to slowly changing values of pH but it cannot adjust quickly enough if the changes are too rapid. Even though koi are healthy in the range of 7.0 to 8.5, they will become stressed if the value varies too quickly within this range. 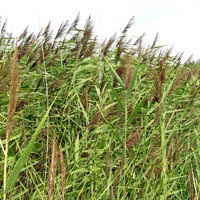 The action of plants, and especially algae, will cause daily variations in pH. During daylight hours, they remove carbon dioxide from the water and replace it with oxygen. The removal of carbon dioxide causes the pH to rise. During darkness, the photosynthesis of plants and algae reverses. They take up oxygen and give out carbon dioxide into the water. Carbon dioxide (CO2) in water (H2O) produces carbonic acid (H2CO3) which reduces the pH. This is a natural process with which fish have evolved over millions of years. Where plants, algae (or some species of bacteria that also obtain energy from sunlight), are present, the pH is lower in the morning than it is in the evening. Variations of 0.2 per day are acceptable, but larger variations should be regarded as too stressful for the koi’s physiology to cope with. If the pH was allowed to fall below 5.5, koi will suffer from acidosis. They will exhibit the usual signs of discomfort, flicking, flashing and jumping. The chemistry that allows the gills to take up oxygen from the water, and then to get rid of carbon dioxide and ammonia, will be disrupted. The fish will soon be gasping at the surface or near air stones, waterfalls etc. If the acid conditions are allowed to persist, the fish will attempt to reduce the irritation by producing excess mucus and its skin may become tinged with red. These acid conditions must be corrected or the fish may die. One way to increase the pH is by adding sodium bicarbonate (NaHCO3). This has the advantage that it is non–toxic and will not increase the pH above 8.4 no matter how much is added. The maximum normal dose rate is 30 grams per 1,000 litres per day until the pH has reached the desired value. The pH should be checked before the treatment and again after a couple of hours to see if further adjustment is necessary. Only in severe cases such as a pH crash, (see above), should a second treatment be added on the same day. Otherwise it is best to only increase the pH by about 0.2 per day. In a typical koi pond, the tendency will always be for the pH to fall over time due to biological action, especially in the biofilter. So slowly rising pH values are not common, but if the pH was allowed to rise above 9.0, koi will suffer from alkalosis and will exhibit the same symptoms as acidosis. Action to reduce the pH must be taken without delay. Although it is fairly commonly known that sodium bicarbonate will raise a low pond pH toward 8.4, chemically it is what is known as a buffer. This means that it will also reduce pH towards 8.4 if it is higher than that value. This may seem hard to understand but I have tried to make the explanation as non technical as possible in my Two Honeydew melons explanation (above).